At first sign of symptoms: Adults and children 4 years and older: 1 tablet every 1/2 to 1 hour until symptoms lessen, then continue with standard dosage. Do not exceed 12 tablets in 24 hours. Standard dosage: Adults and children 4 years and older: 3 tablets per day, taking 1 tablet every 4 to 6 hours. 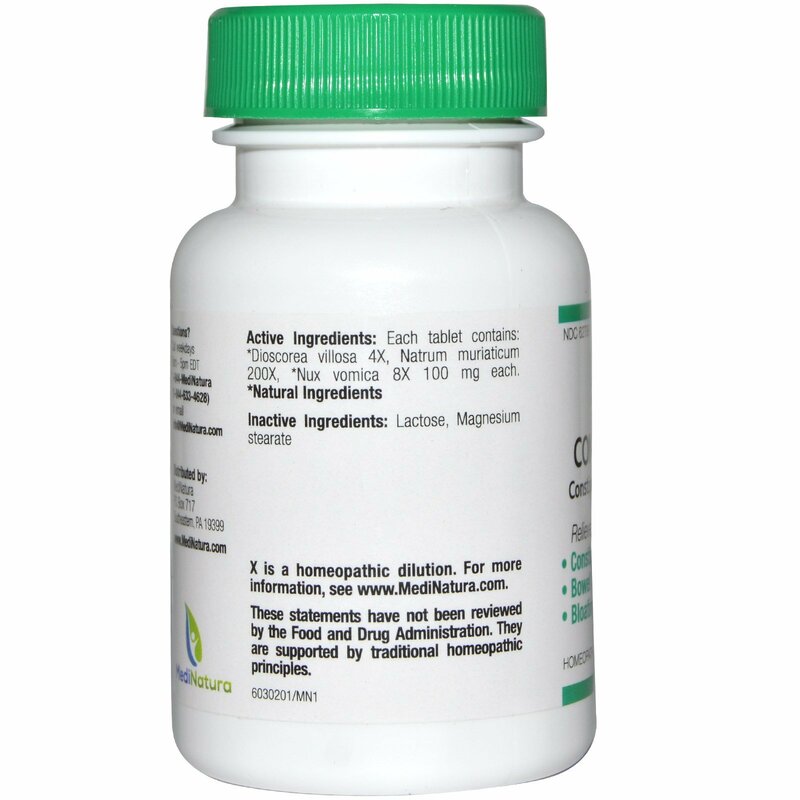 Active Ingredients: Each tablet contains: *dioscorena villosa 4X, natrum muriaticum 200X *nux vomica 8X 100 mg each. If pregnant or breast-feeding, ask a health professional before use. Keep out of reach of children. If symptoms persists or worsen, a health professional should be consulted. 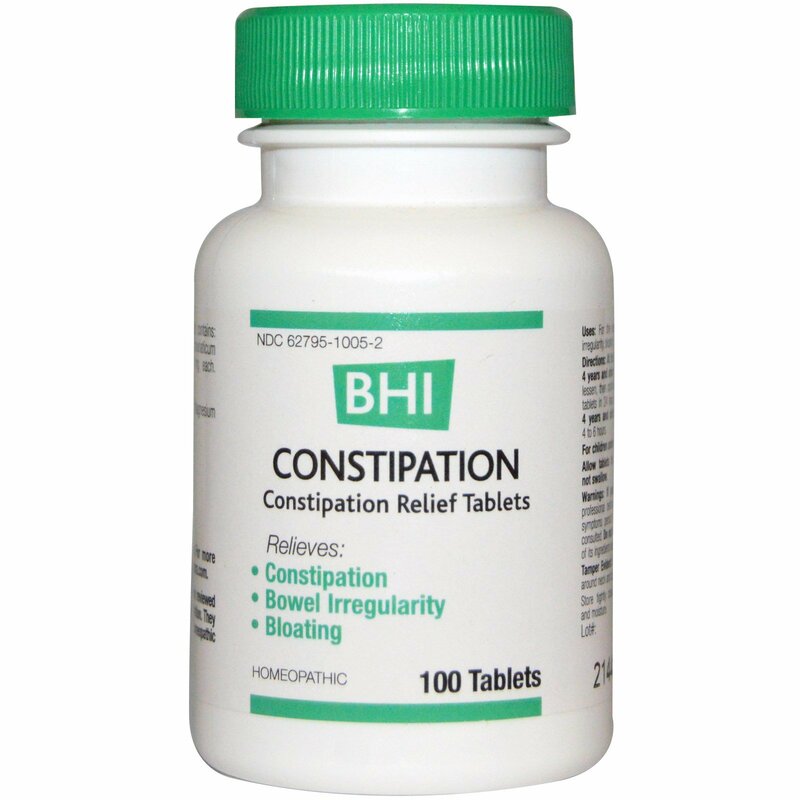 Do not use if known sensitivity to constipation or any of its ingredients exists.